Theresa May sports that ‘just woke up’ look. Carlyn Harvey in The Canary is absolutely correct. By advising a change to arbitrary interpretations of the damage caused – and rejecting any ‘public interest’ defence – the Law Commission is targeting whistleblowers and opening the UK up to corruption further corruption. Hopefully these recommendations will be amended out of any legislation but we should not be relying on that. It is outrageous that a publicly-constituted organisation such as the Law Commission should reject the interests of the public in this way. 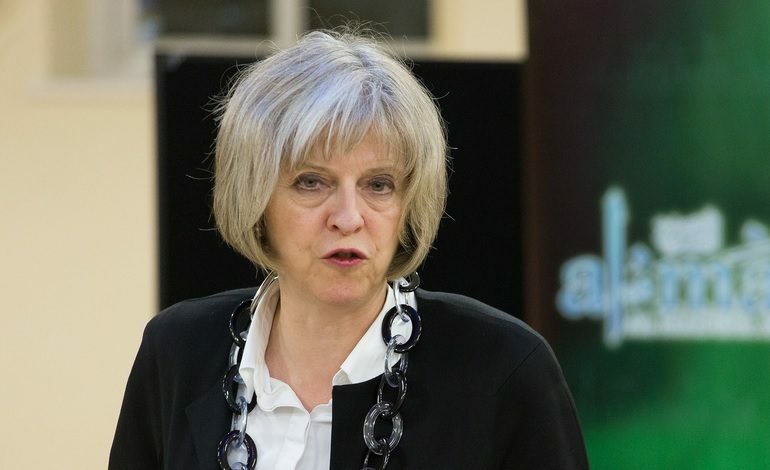 Theresa May’s government is overhauling the 100-year-old Official Secrets Act. Last updated in 1989, the Official Secrets Act determines what punishment is given to people who leak sensitive government information. In 2015, the UK government tasked the Law Commission with reviewing the act. On 2 February, the commission published its findings and its alarming ideas for reform. At present, unauthorised disclosure of classified information carries a maximum sentence of two years in jail. The commission believes the maximum sentence should be raised. The Telegraph reports potentially up to 14 years. And while currently the law only applies to UK citizens, the commission advises it should apply to anyone, anywhere in the world. It also reviewed current classifications of what constitutes ‘damage’ from a leak. And it proposes that “information that affects the economic well-being of the United Kingdom in so far as it relates to national security” should be included. Furthermore, the commission advises on measuring such damage. It concludes that actual damage doesn’t matter. Rather, it believes that leakers’ understanding of whether their actions could cause damage should be used as the measure. And it advises against the introduction of a statutory public interest defence. Instead it suggests a scheme whereby concerns can be raised with the independent Investigatory Powers Commissioner. How is may going to kill off democracy when it is already dead? I can’t see how this will damage democracy whatsoever in the current form and of course there will be debate about it. Anyone who has ever worked for a government body has to sign the official secrets act, because otherwise the could be absolute havoc caused by so called whistle blowers who have a personal grudge. Barry – Any ” … so called whistle blowers” … who [had] as a [sole] >personalpublic< interest defence then, would they? However, I'm not sure that the original intention of the official secrets act was to prevent whistle blowing – rather for genuine security reasons during imminent war – unlike the way it appears to be used now as the preferred method of preventing disclosure of government corruption and incompetence – which is why the principle of disclosure through public interest is so important to preserve as a stalwart of democracy.